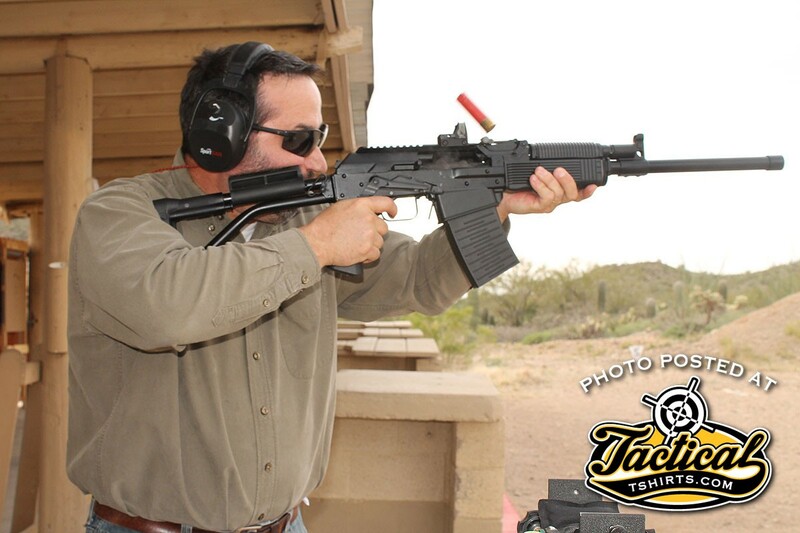 The first time I encountered an AK-47-styled shotgun was back in 1998 when I was on the NRA Technical Staff and European American Armory was bringing in a then-new gun called the Saiga. It had a conventionally styled forend and buttstock that were very “Remingtonesque” and the sights were fitted on a short, delicate top rail. We noted that, since its AK-like operation was familiar to Russian citizens, the manufacturer was marketing it over there as “…intended for professional and amateur hunting.” We thought the US market might see it more as a camp gun. 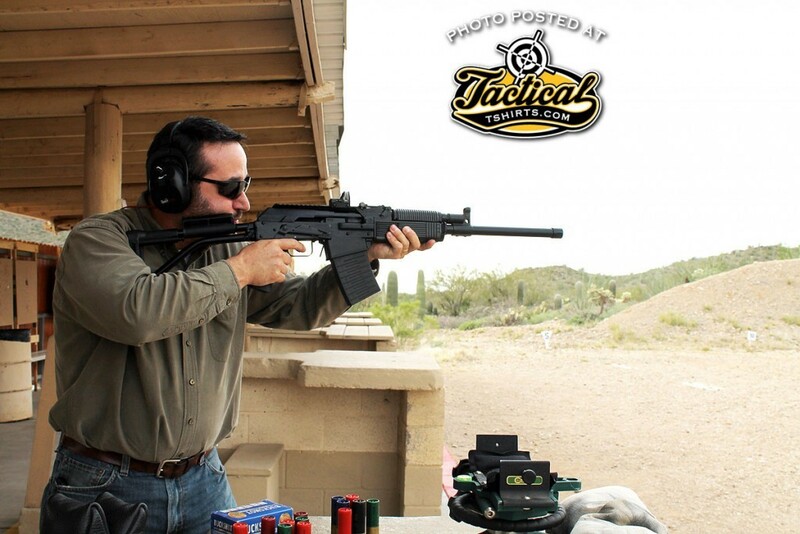 Had we foreseen the future popularity of action shooting sports and the increased interest in personal defense, we may have formed different opinions about what to do with an AK-style shotgun. The Vepr-12 is clearly not the kind of shotgun you’d ever see at the Grand American, but the AK-style shotgun is popular with recreational shooters and some hunters. Since then, the market has spoken. 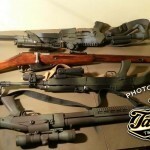 AK-style shotguns are badass blasters for fun and action competition and, if you live in a shotgun-only part of the country, make pretty darn good slug guns for hunting deer and hogs. A 100% reliable one is a formidable defensive tool because you can change ammunition type to suit the situation as quickly as you can change a magazine. 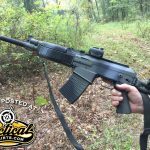 When it comes to AK-style shotguns, the Vepr that’s imported by Wolf Performance Firearms and built at the Vyatskie Polyany Machine-Building Plant (MOLOT) in Russia has been called the Holy Grail. 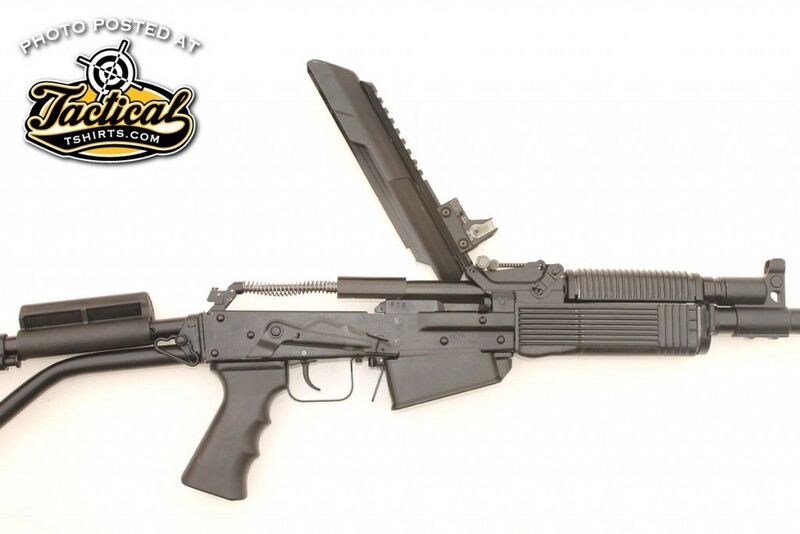 The plant was founded in 1940 mainly for producing the PPSh, and then in the 1950s and ’60s production included the Kalashnikov light machine gun, or RPK. 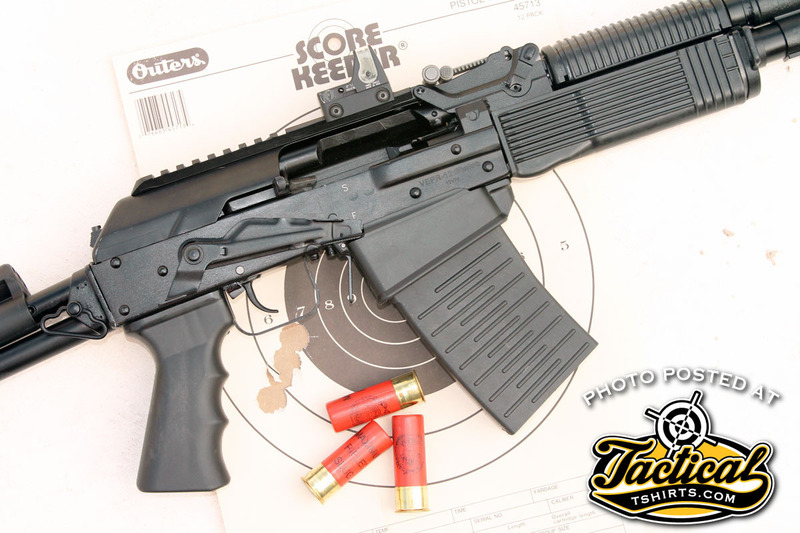 The RPK is generally thought of as a more heavy-duty and better-made version of the Kalashnikov, which is a lot of the reason why the Vepr is a cut above other shotguns in its class—you don’t have to fix it before you can use it. In addition to overall higher quality, the Vepr has some notable design improvements, and many of them work together to reduce reloading time by minimizing hand movements. For example, there’s an automatic last shot bolt hold-open so you don’t have to try and compress the spring of a loaded mag against the bottom of the closed bolt. And when you do change magazines, the Vepr has a mag well that lets you strip magazines straight in and out instead of having to rock them in nose-first. 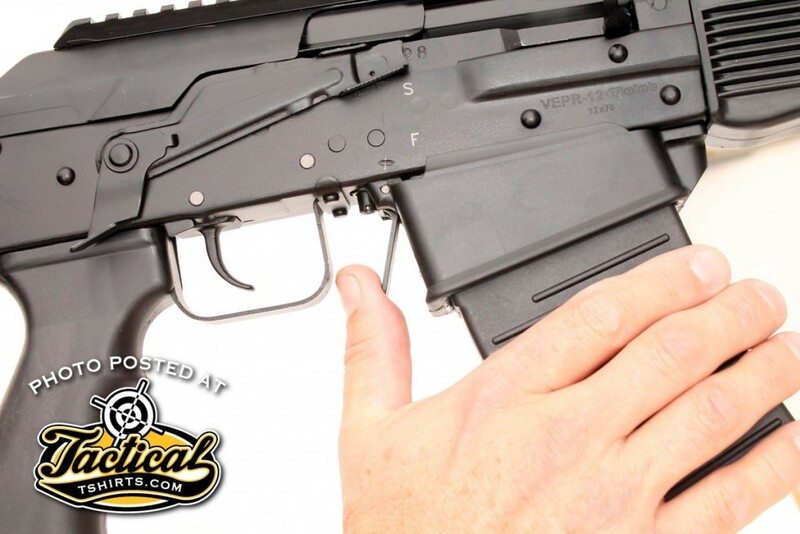 There’s a bolt release near the trigger so you can close the bolt without releasing your firing grip, and likewise the ambidextrous safety lever is redesigned for one-finger operation. You can lock the bolt back at any time using a manual bolt hold-open. 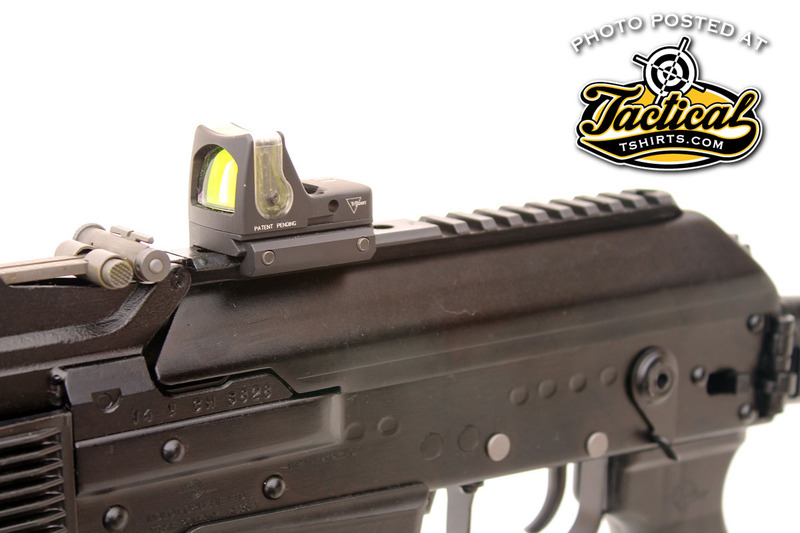 A synthetic Picatinny-type rail runs the full length of the receiver cover making it easy to mount a red dot sight. 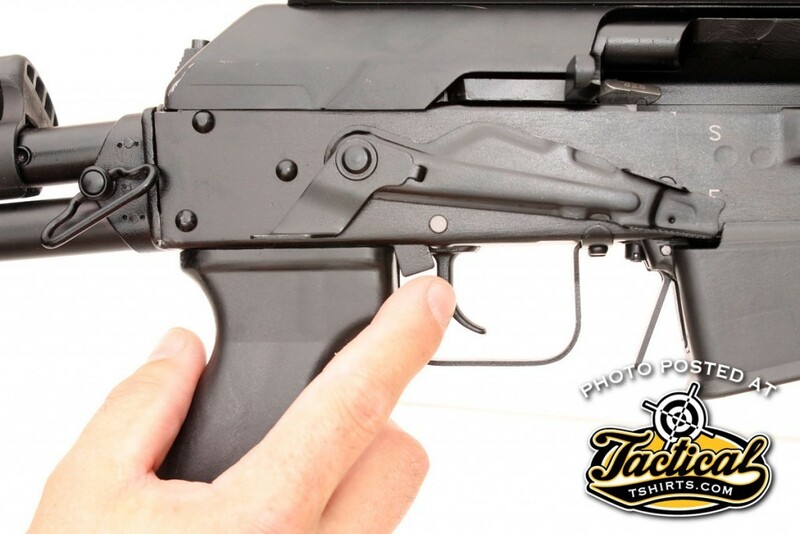 The Vepr also overcomes the usual difficulty with mounting an optic on an AK-style gun by riveting a synthetic Picatinny-type rail centered on the top of the receiver cover. Mounts on the receiver cover is nothing new, but in the Vepr-12’s case the cover is hinged at its front so it never comes off the gun so it holds its zero when you remove the bolt for cleaning. If you don’t want to use an optic, the Vepr-12 is fitted with fully adjustable AK sights. 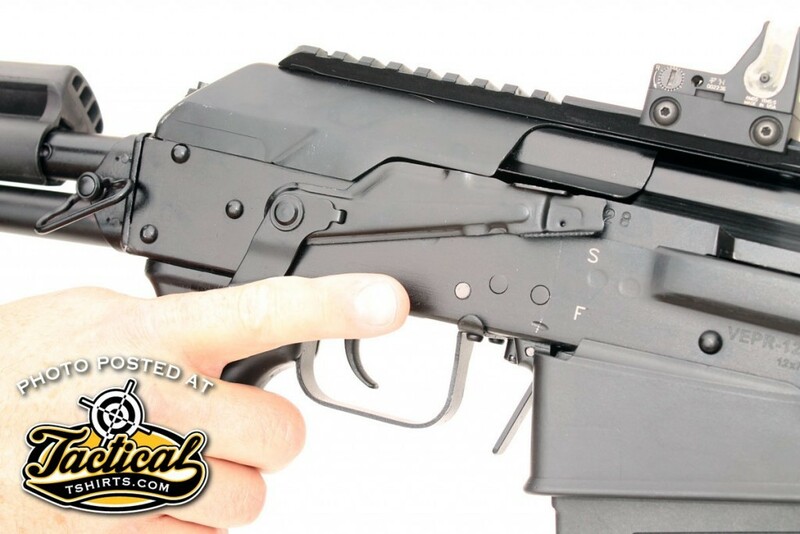 If there is anything that can be construed as a concession on this gun, it’s that the folding stock is welded in the open position–no doubt to comply with import restrictions. As I write this, the Vepr-12 is importable despite various trade sanctions recently imposed on Russia. That said, “They are still getting imported as of now, but that could stop at any time,” cautions Wolf’s C.J. Johnson. Another caution worth mentioning is that if you intend to accessorize a Vepr-12, make sure you stay 922(r) compliant. I set the Vepr-12 up with a Trijicon RMR red dot sight because it combines a relatively precise aiming point with fast, parallax-free aiming. The local range doesn’t allow shooting birdshot or buckshot at their target frames, but I was welcome to do as much berm blasting as I wanted with those types of loads, which is a fun way to run through functionality and reliability on a new gun. One of the design improvements of the Vepr-12 is its self-regulating gas system that lets you shoot both heavy and light loads 2 3/4 and 3-inch loads interchangeably without adjusting the gas system. To push the limits of reliability, I brought along a large box of mismatched shells left over from years of coming back from the field or range with a shell or two left over. Loads ranged from cheap 2 3/4-inch promotional loads to the heaviest 3-inch turkey loads that I randomly loaded into the Vepr-12’s 5-round polymer magazine. I don’t mind saying that I was surprised that it fed every shell flawlessly. Even though this is an AK design—arguably one of, if not the most reliable autoloading design–reliably feeding short, fat, rimmed, straight-walled shells from a vertical magazine is not an easy thing to engineer. The only time the gun choked was when the occasional 24-gram load failed to eject. Since that’s an unusually light load that the Vepr-12 isn’t really designed for, I’m going to go ahead and say the gun was 100% reliable with standard and magnum 2 3/4 and 3-inch loads. With Foster-style slugs, the Vepr-12 shot groups that were essentially one big, ragged hole at 25 yards. There were a few features that had to “break-in” before they worked well. 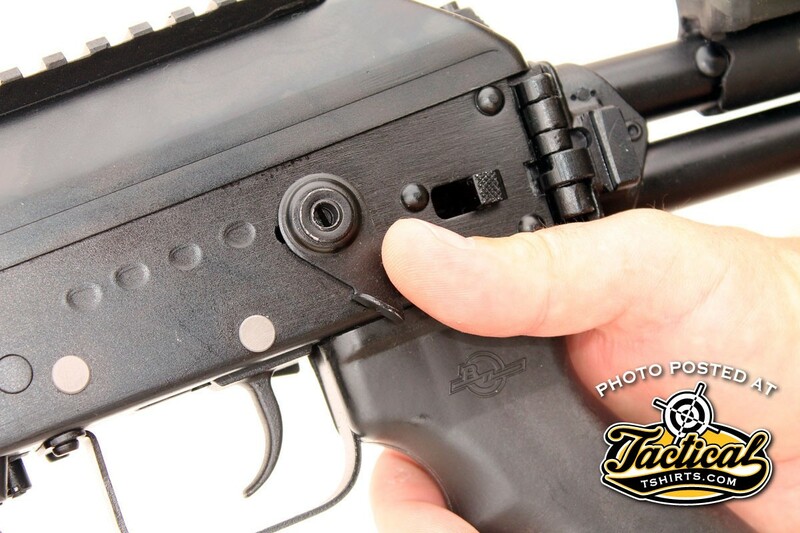 The safety lever is designed so you can use your trigger finger to “sweep” it upward to the fire position, and on the other side of the receiver use your thumb to press it forward into the safe position. The safety lever has a small detent stamped into the far tip of it that drops into a small recess in the fire position and that snaps over the top edge of the receiver in the safe position. It scribes an arc across the receiver as it drags from one position to the other. Initially, I didn’t have the finger or thumb strength to overcome the out-of-the-box drag between the fire and safe positions, but it only took working the safety lever about 50 times to iron things out to where the safety easily flicks into its respective position. The other feature that took some breaking in was the bolt release. It worked well with no magazine in the gun, but stubbornly refused to work with either a loaded or empty mag in place until after about 100 rounds had been fired through the gun. As with the safety lever, once the release parts broke in, the feature worked perfectly. As with shot loads, my local range has certain rules about shooting slugs, such as you can’t shoot them at distances greater than 25 yards. That’s because some well intentioned but unknowledgeable folks try shooting saboted or other types of spin-stabilized slugs out of shotguns with smooth bores and where those hit downrange is anyone’s guess. Smoothbores require Foster- or Brenneke-style slugs that are self-stabilizing. Before heading to the range I had checked the choke constriction and found there wasn’t any. In fact, the cylinder bore gauge dropped down bore with room to spare. Both Foster and Brenneke slugs are found with “rifling” that, instead of imparting any spin to a slug, lets them mash down when squeezing through a choke. Since the Vepr-12 didn’t have any choke constriction, I needed just the opposite and chose Foster-style slugs because of their large hollow bases that expand to seal the bore. Both the rangemaster and I were anxious to see the accuracy of the Vepr-12 because I had recently tested a Vepr rifle in 7.62×39 there and it shot great. 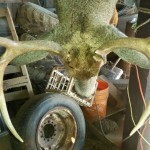 At 25 yards, it’s not hard to see a slug hole in a target and after the first three shots we were feeling a little disappointed at what looked like about a 10-inch group. Once we approached the target, though, it turns out the slugs all shot into one big ragged hole and that the widely disbursed other holes we were seeing in the target were nothing more than the card wads under the slug making the trip with enough force to punch through the cardboard backer. The Vepr-12 is as simple to take down as any AK. Tip up the receiver cover then remove the recoil spring and the bolt/piston unit to clean the bore and flush the hammer/trigger mechanism. “You will find the VEPR 12 works as well at hunting hogs and turkey as it does shooting slugs at deer,” was another comment Johnson shared with me, and with that kind of accuracy, I couldn’t agree more. As for turkeys, the Vepr takes interchangeable external choke tubes, so finding one with a tight enough constriction to make a gobbler into a jellyhead isn’t out of the question. 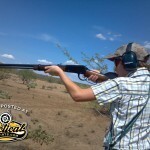 Recoil wasn’t bad at all, though the slug loads and some of those 3-inch magnums did get my attention. 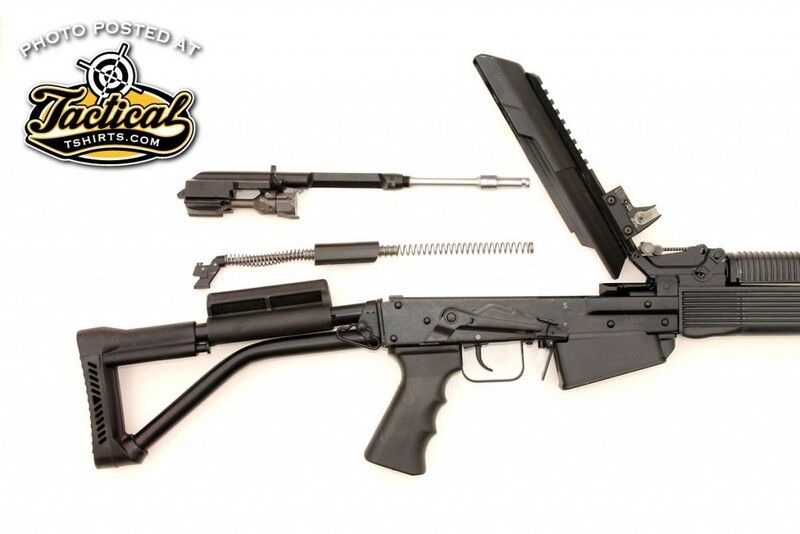 The Vepr-12’s tubular stock has a stiff rubber buttpad and cheekpiece that you can rotate and lock in place for right- or left-hand shooting. The mag drops freely when its release is pressed, so you won’t have to fuss with pulling it out to change magazines if shooting under timed score. If you fit the Vepr-12 with an optic, keep two things in mind. First, if you use any sort of scope that extends past the front of the Picatinny rail, you won’t be able to tip up the receiver cover for cleaning. Second, I’ve seen reports of ejection malfunctions when using a short but bulky red dot sight because the angle of ejection doesn’t let the ejected shell clear the optic. If you want to use a bulky red dot, simply mount it on the rear half of the rail. I have to say that with the Vepr-12, AK-style shotguns have come a long way since the first ones I saw back during the Clinton Administration. I’m glad to see them abandon the “Ruski-Remington” look and instead own the heritage of the AK, even if it means the folding buttstock has to be welded. 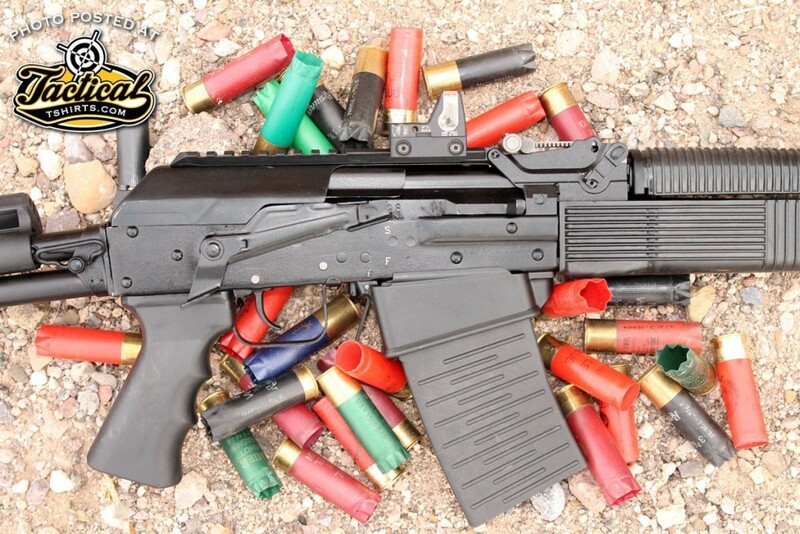 Aesthetics aside, the Vepr-12 embodies the rugged reliability for which the AK is known. Disassembly for cleaning is as simple as pushing a button. 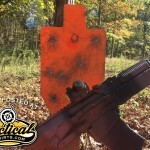 The Vepr-12 is the Holy Grail of AK-style shotguns. It offers enhanced features, superior construction and reliability. Reliability was 100% even with a variety of mismatched shells loaded randomly into the magazine. Recoil from even 3-inch loads was easily manageable. 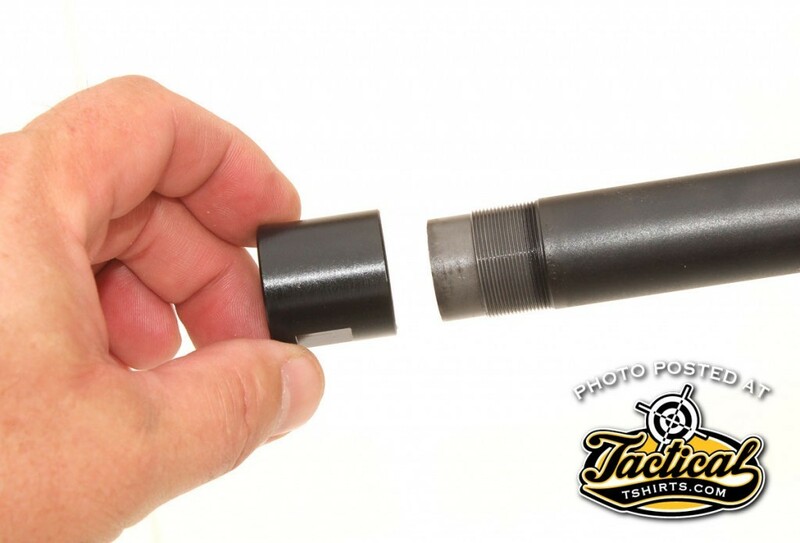 The Vepr-12’s threaded barrel comes with a thread protector. 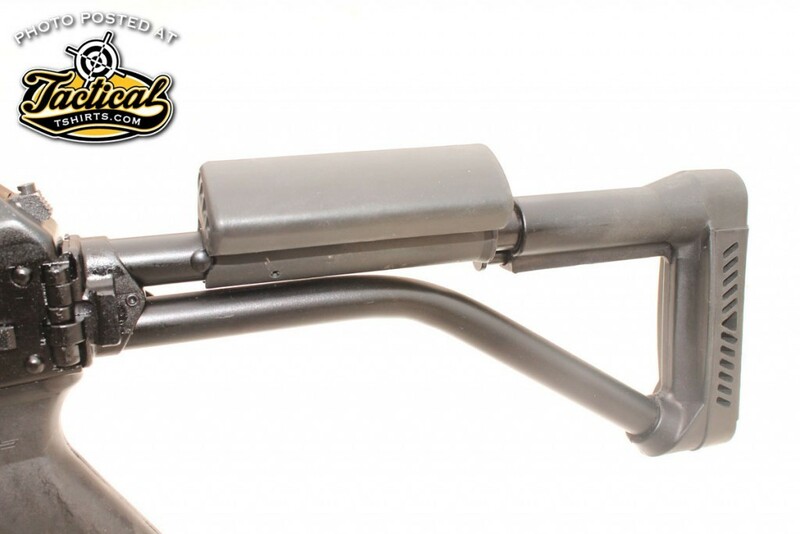 Aftermarket external choke tubes and muzzle brakes are available. Once broken in, the extended safety lever is easily swept up into the fire position with your trigger finger. 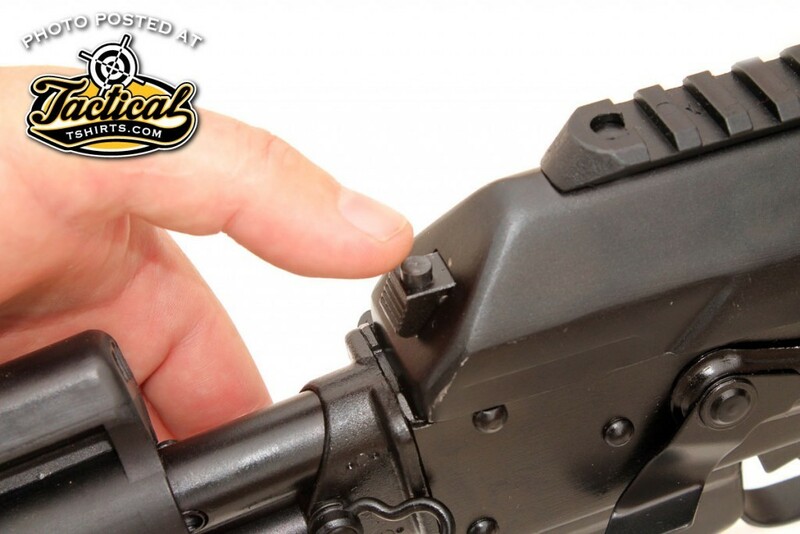 A small button between the front of the trigger guard and the magazine release is the manual bolt hold open. The bolt also locks open automatically after the last shot. 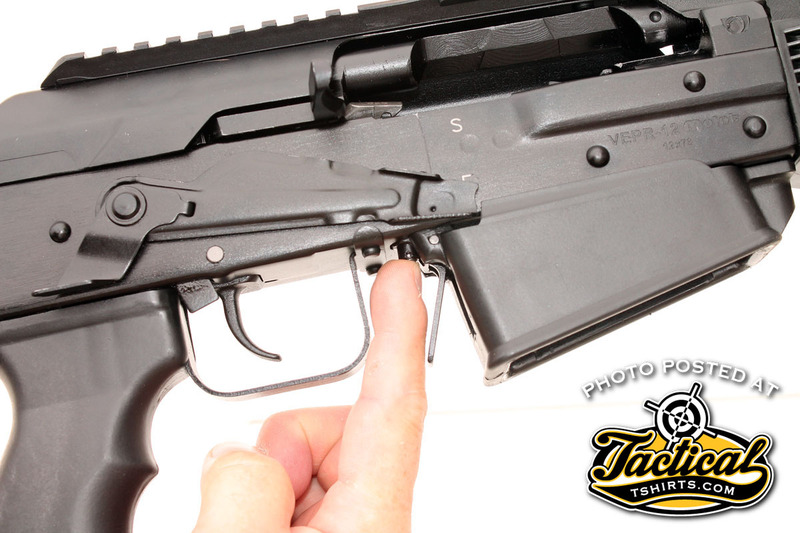 While the folding stock mechanism is all in place, it’s welded in the open position because of import restrictions. A rubber cheekpiece locks in place for either right- or left-handed shooters and takes the sting out of heavy shotgun shells. 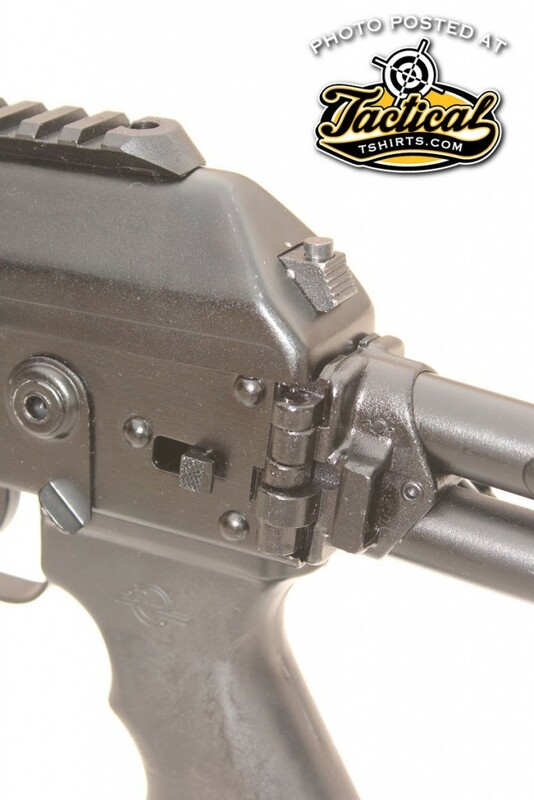 The receiver cover is hinged instead of removable so optics don’t lose their zero between gun cleanings. The mag well allows magazines to go straight in and out instead of having to be rocked in nose-first. Empty magazines drop free when the mag release is pressed. You can put the safety in the safe position by pressing forward with your thumb.